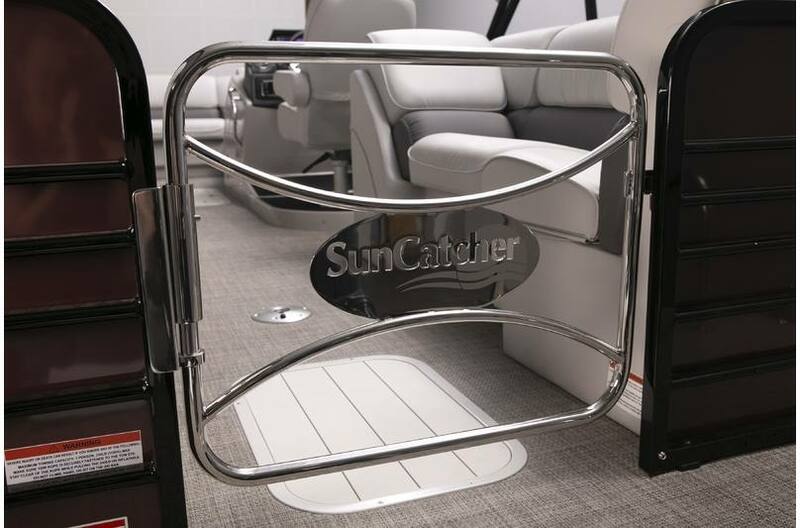 What is the one word that describes the popularity of SunCatcher pontoons; versatility! 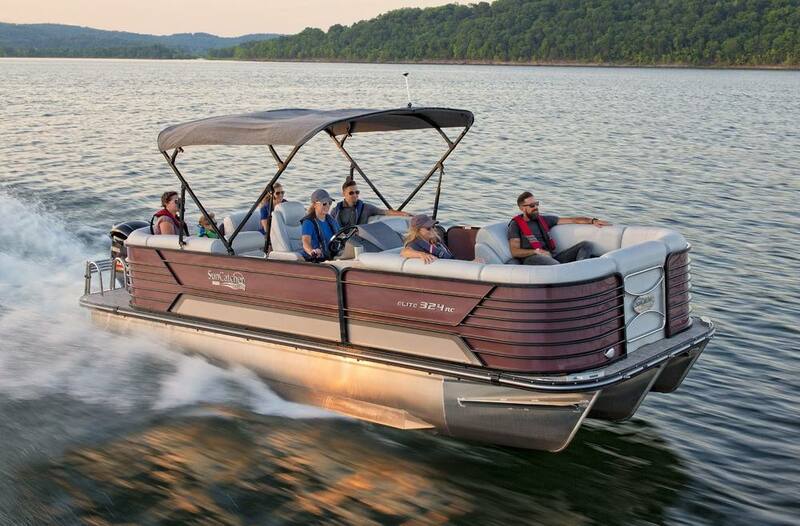 With the new Elite 324 RCX, you can water-ski, swim, fish, pull water toys, cruise to your heart's content and find more ways to escape the stress of everyday life than you can count. 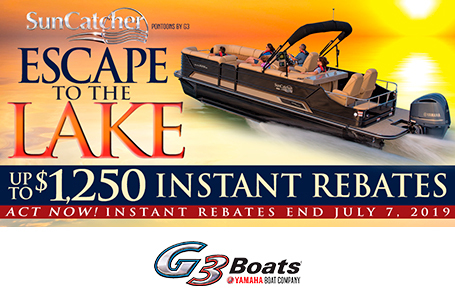 G3 and Yamaha make it all possible for every member of your family. When you live the “G3 Life", you discover how much fun you have been missing. The elegance of the SunCatcher Elite helm is easy to see. 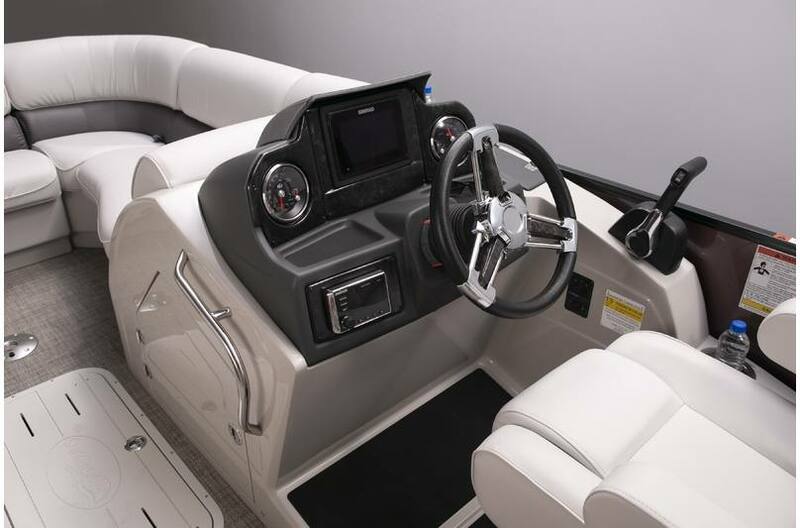 Simrad® GPS-enabled electronics, Kicker® stereo with subwoofer, and Faria® multi-function gauges are just a few of the features included. 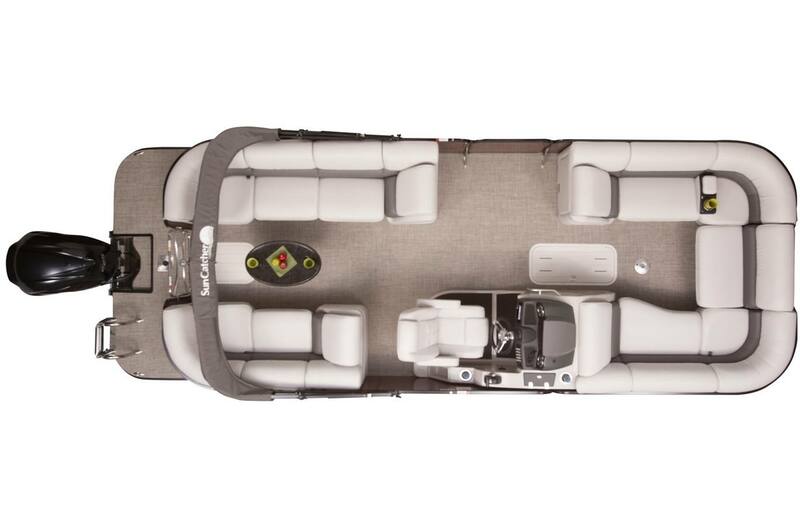 The raised command center improves visibility, while the captain relaxes in a plush, high-back armchair. 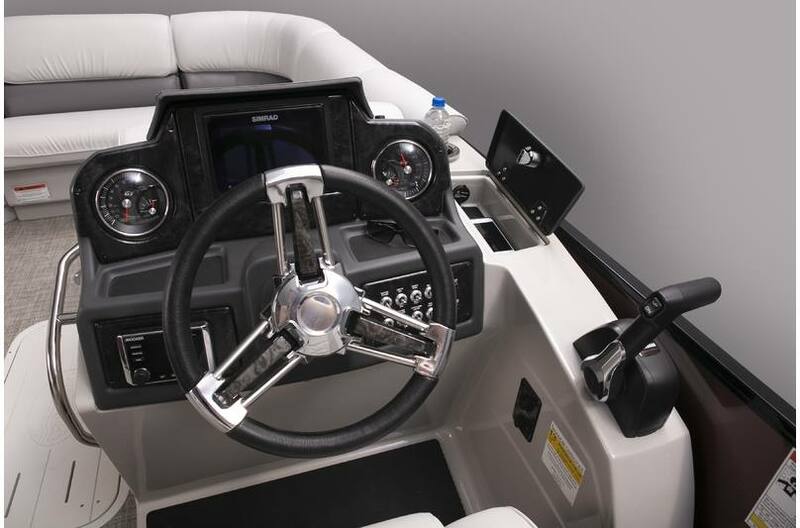 Cell phone compartment has built-in audio input and USB port. 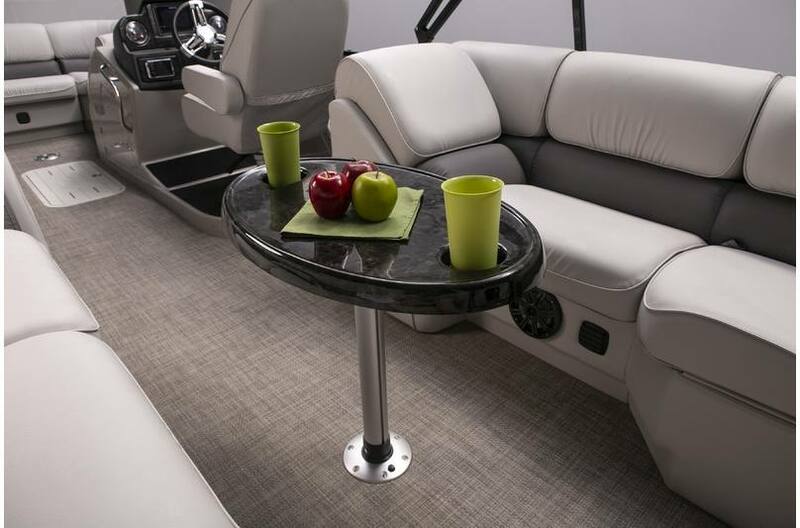 Convenience is enhanced with cup holder and small item tray close at hand. Black Pearl wood grain oval table adds to the stylish luxury of the SunCatcher Elite series. 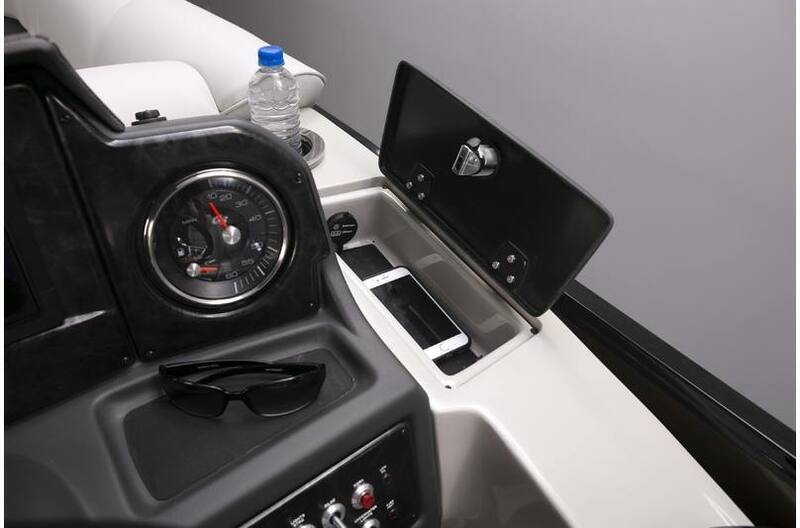 Polished stainless steel swim deck entry adds a touch of class to the X324 RCX. 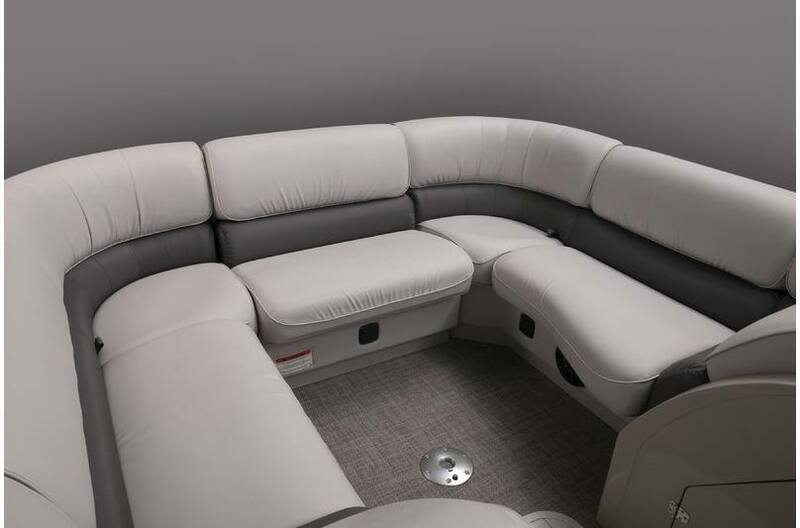 Optional bow couch insert completes this model's elegant wrap-around comfort and style. 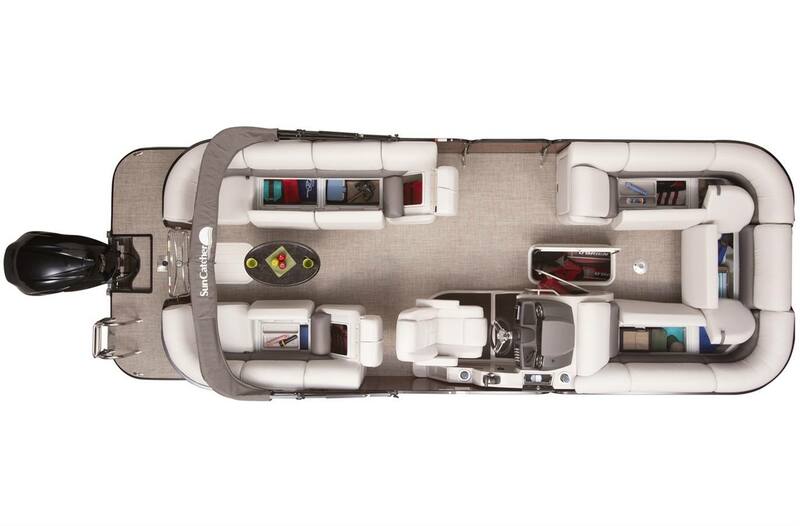 Deck Length: 23 ft. 10 in. Dry Hull Weight: 3025 lb. Max Weight Cap: 2400 lb.